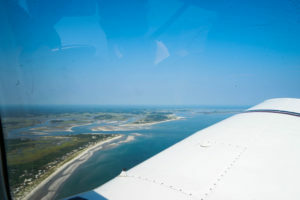 Beverly Flight Center offers a variety of specialized scenic flight tours that will allow observers to experience breathtaking bird’s eye views of New England. 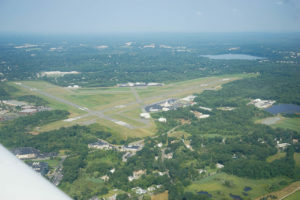 The proximity of Beverly Airport to many scenic hot spots makes these tours very affordable. Scenic flights are offered for one, two, or three occupants dependent upon the aircraft used. Still cameras and video cameras are not only welcome but also encouraged! After the flight we invite you to share your best photographs with others on our Facebook Page. Conducted by highly-experienced flight instructors who will act as your tour guide, you will be provided with an experience that you are unlikely to ever forget. Because all aircraft have weight limitations in order to fly safely, we must be provided ahead of time with the weights of each occupant to make sure that the aircraft will not be overloaded. Likewise, we must make sure that the load carried by the aircraft is balanced properly. The seating arrangements, therefore, may be at the discretion of the pilot. Please bear in mind that due to these limitations it may not be feasible to accommodate your entire party in one flight. We will make every effort possible to meet your needs consistent with safety. Both for safety and to provide you with the most enjoyable experience, Scenic Flight Tours are weather dependent. Submit your photos from your flight to our Facebook page and it may be used on our website!